GENEVA—Ravines Wine Cellars of Hammondsport has purchased a winemaking production facility in Geneva from White Springs Winery Vineyards owner Carl Fribolin. Ravines owner Morten Hallgren explained he has previously worked as the White Springs winemaker since last year and under the agreement he will continue to make wine for White Springs. According to Hallgren, Fribolin still owns the White Springs tasting room on Route 14, the White Springs’ brand, and 99 acres of land. Hallgren explained Ravines purchased the production facility (off Pre-Emption Road) and 61 acres. The deal was finalized May 4. He said the facility is made up of two buildings: a “beat-up old barn” with a slate roof and a modern winemaking facility. Hallgren said he plans to open a new, 1,400 square foot Ravines tasting room in the barn portion. He said it would give visitors “more of a farm experience.” The focus will be on tours of the vineyards and is expected to open in June. “It’s a great place to hold tastings,” said Hallgren. 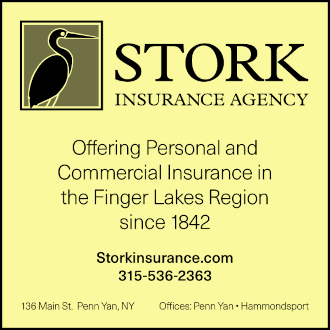 He added the majority of visitors will still be at the main Ravines facility on Keuka Lake. Hallgren has a connection to the person who built the facility for the 2003-04 harvest. He explained when he worked at Dr. Konstantin Frank Vinifera Wine Cellars, he had a 26-year-old French woman for an assistant. She went on to construct the facility for White Springs originally as a partnership with Belhurst Castle. He said he and his wife, Lisa, made the decision to take over the vineyards and production.